The CGIAR Research Program on Dryland Systems is a global agricultural research partnership to realize the potential of dryland communities. The program brings together eight CGIAR centers, and numerous international, regional, and national partners to engage in integrated agricultural systems research and unique partnership platforms to ensure improved food security, equitable and sustainable natural resource management, and better livelihoods in the world’s dry areas. We envision prosperous dryland communities with higher incomes, better access to food, improved nutrition and health, and increased capacity to innovate and manage natural resources in an equitable and sustainable way in the rural dry areas of the developing world. To improve the lives of 1.6 billion rural people, and to mitigate land and resource degradation in 3 billion hectares covering the world’s dry areas through integrated agricultural systems research. The majority of farmers in arid and semi-arid regions of the developing world grow crops or raise livestock on a small scale. They face daunting challenges – from infertile and degraded land, scarce water, and frequent drought to authorities struggling to support them, poor marketing intelligence, and limited opportunities to try out innovations and new technologies. The result is low agricultural productivity that perpetuates a cycle of deep poverty and food insecurity. Provide policy makers with the research evidence to develop policies that will benefit marginalized farming communities living in the world’s dry rural areas. 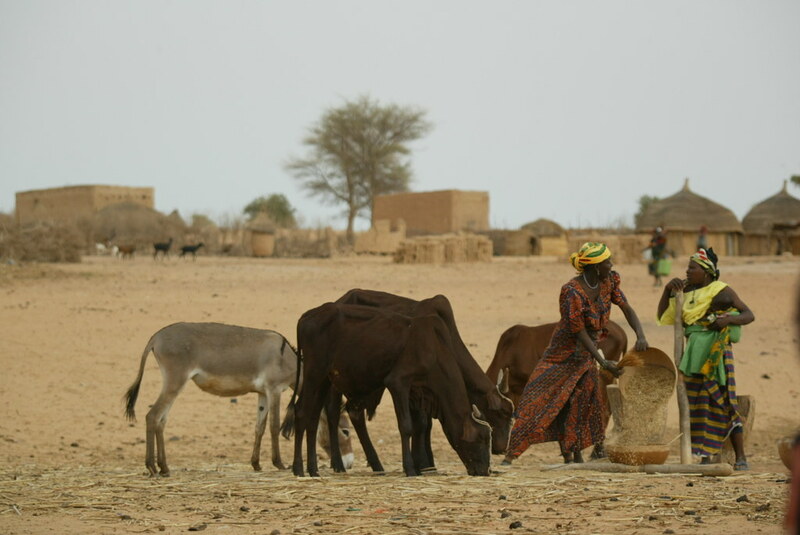 Dryland Systems works to benefit the poorest, hungriest, least healthy, and most marginalized people living in rural drylands. In many areas, the degraded natural resources on which their livelihoods depend contribute directly to their low levels of well-being. Typical mixed crop-livestock farming of western Kenya. Photo credit: ILRI/Pye-Smith. 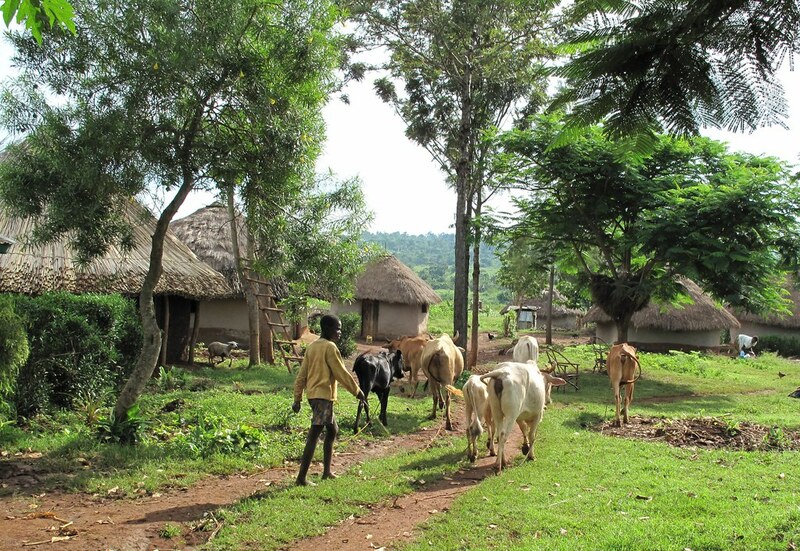 Our research primarily targets the needs of smallholder farmers, agropastoralists, pastoralists, and livestock producers. Others who add value along the chain from producer to consumer also stand to benefit from our work. In particular, we target women farmers and young people in search of dryland agricultural opportunities to improve their livelihoods, as well as other marginalized communities excluded from mainstream development. In our work to improve nutrition and food access, we particularly target women and children in the poorest households. Most of our beneficiaries live in the world’s two regions where poverty and hunger are most prevalent: Sub-Saharan Africa and South Asia. We believe that our efforts to address the needs of impoverished and marginalized dryland communities will be critical contributions to achieving the proposed United Nations’ Sustainable Development Goals. Other groups not directly targeted by our program are also likely to benefit from our research work. For example, systems research on climate change in drylands will help people cope with expected increases in droughts and other severe weather events. Similarly, systems research on access to scarce natural resources in drylands can help reduce the potential for conflict in the world and thus contribute to peace, prosperity, and thriving trade among countries and regions. Sustainably intensify agriculture in drylands that are rich in resources, where conditions for agriculture are more favorable, and where farmers have opportunities to produce more from their land, by providing farmers with practices that will help them to sustainably intensify production. Partnering with all actors in agricultural production systems, including scientists, extension workers, farming communities, policy-makers, regional and international organizations, development agencies, and the private sector. Fostering innovation platforms to address challenges collectively, and deliver sustainable and inclusive benefits for all. Testing and validating integrated solutions of a technological, institutional, governance, and policy nature that are specifically tailored to various agro-ecosystems in the dry areas. Mainstreaming gender in all its research activities. Investing in and promoting youth in agricultural development. Building capacity both within the program and of stakeholders across all research activities.